Tack trunks are expensive, heavy, and not always large enough. As is often the case, the second you take the word “horse” out of the equation, you can often find something that works better for less in other places. 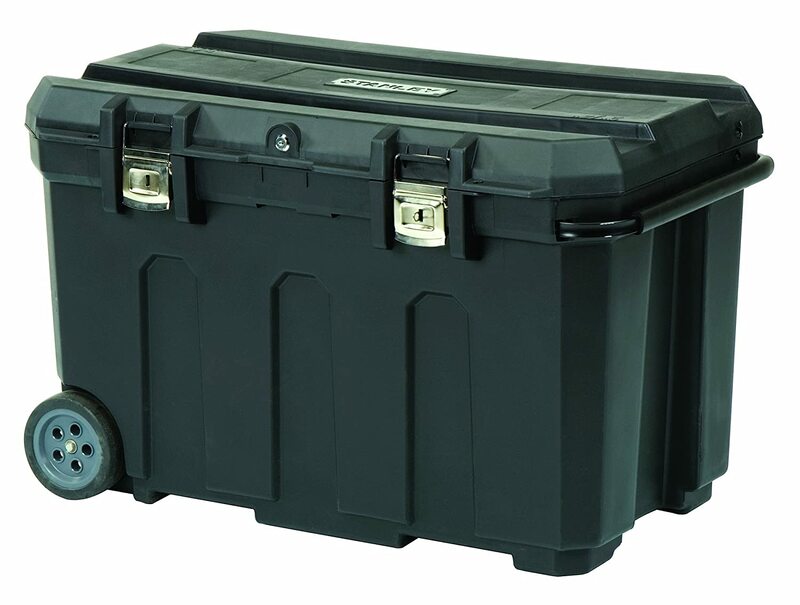 While the link above is to the Amazon.com page so you can get a sense close-up of what this tool chest looks like, you can usually buy these for way less at a Home Depot or a Lowe’s – mine was $50. I love this thing. It lives in my trailer, in the front, and holds a TON of stuff. Most often, it stores all my XC gear, as well as a second grooming set and my trailering first aid kit. When I go to shows, I can repack it quickly and efficiently to hold all manner of things – bridle bags, boots, grain, you name it. There’s even a tote carrier included with it that has plenty of space for grooming tools and other small, easy-access things. The wheels and carry handle make it quick and easy to just roll out the trailer when we get somewhere, and the base is broad enough that it wheels across uneven ground pretty easily. It’s sturdy and solid. The only wear I’ve noticed on mine after 4 years is a small bit of rust on the metal buckles, and that’s because it lives outside 24/7 in my open trailer. Barn friends have theirs in the tack room or in enclosed trailers and they are spotless. If I didn’t already have a tack trunk that’s something of a family treasure (my great-great-uncle’s wooden tool chest) this would absolutely be my pick for primary tack trunk. If I were to have multiple horses, I would get one of these for each horse to keep all their things together. Love it.